few short hours. I’d failed to protect it. Hemingway must be rolling in his grave. Before Sarah can get any answers, Belle is assaulted, the case is stolen, a maid is killed, and Sarah herself is dodging bullets. And when rumors spread that Belle has a limited edition of The Sun Also Rises in her house, Sarah is soon mixed up with a mobster, the fanatical League of Literary Treasure Hunters, and a hard-to-read rare book dealer. With someone willing to kill for the Hemingway, Sarah has to race to catch the culprit—or the bell may toll for her. . . The Gun Also Rises, Sherry Harris’s sixth book in the Sarah Winston Garage Sale series was released yesterday. 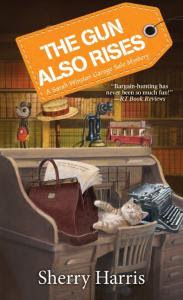 Sarah multitasks with aplomb as she’s on the run from reporters and literary treasure hunters, all the while pricing Belle’s mystery books for a charity sale, organizing a fundraiser for a serviceman suffering from PTSD to bring his dog from Afghanistan to the States, and preparing to testify in the trial against a stalker. But she’s not superwoman. While she’s finding clues to solve the murder of a thief, she’s also second-guessing her decision to end her relationship to her ex, CJ, and wondering what to do about DA Seth Anderson, who still is pursuing her. And then, after successfully dodging reporters, her brother shows up to help her, but he also happens to be a reporter. Sherry weaves an interesting tale around the legend of Earnest Hemingway’s lost manuscripts, a wonderful premise for bibliophiles. She knows her readers well. Belle was a wonderful character. After the little old Southern belle wielded a shotgun to ward off an armed intruder in her house, I was surprised that Sarah was still suspicious of her. Why? I’m so glad you liked Belle because I do too. Sarah doesn’t know Belle well—only as her employer. And while she wants to trust Belle, there is a nagging doubt about her that Sarah can’t shake. Who doesn’t know they have Hemingway manuscripts in their house? Belle married into an old wealthy Boston Brahmin family. What does the term Brahmin mean and why is it applied to those early Boston settlers? The term was first used by Oliver Wendell Holmes in 1861 to describe a group of wealthy Boston families—many of them descendants of the Puritans. Even though they were wealthy, the Brahmin’s believed in Puritan values of hard work, education, thrift, and culture. They thought you only should be in the newspaper when you were born, married, or died. Belle was not well received by her husband’s parents, especially her mother-in-law, Winnie, which was the reason they settled in Ellington, not Boston. I was surprised that Belle was charitable toward Winnie. Why, when her husband has died and she can be free of personal contact, would she choose to bring Winnie into her home? 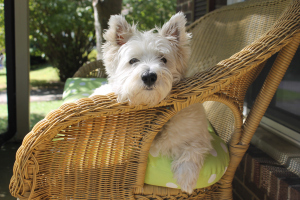 Belle has a generous heart and she knew taking Winnie in was something her late husband would want her to do. Thankfully, she lives in a large house and can afford fulltime help for Winnie. That makes it easier for Belle. Why is Sarah questioning her decision about CJ? Is it due to her looming thirty-ninth birthday? In my mind it’s because of how young Sarah was when they got married and how long they were together. She was with him half of her life and will always have feelings for him. Sarah’s transparent. She lacks the guile of the poker face. How does this actually help her sleuth? Sarah cares deeply about other people and that authenticity makes her trustworthy. She’s likable and a good listener, which means people will open up to her when they might not to someone else. Sarah wishes every thought that flickers through her head wouldn’t show on her face. But so far, any attempts to conceal her thoughts have failed. Belle mentions to Sarah some people are negatively judgmental about mystery books, which I’ve heard before and never understood. Why are people condescending about mysteries? I have no idea although I’ve heard people say it isn’t “real” fiction. I remember a class I took in college called “Teaching Reading in Secondary School” where the professor said it doesn’t matter what you read just get people to read. She even recommended reading comic books if it was a reluctant reader. So, I don’t care what anyone reads – just read! Sarah doesn’t like rare book dealer Roger Mervine, although she’s just met him. Why? Right after they meet Roger makes a snooty comment about Sarah working with the lesser books and that if she finds anything valuable to let him know. His attitude put her off from the start. Can kleptomania be inherited? Yes, according to the research I did. Sources like the Mayo Clinic say if you have a first degree (parent or sibling) relative that has kleptomania it is a risk factor for the family member to have it. I was surprised to find that Winnie had an embarrassing fault. Is her self-righteousness a defensive maneuver or is she caught up in her own rhetoric without a thought of her own behavior? Winnie is a prideful, snooty woman. She has moved through life thinking she is always right. Part of it is her upbringing and part of it has worsened with age. Carol, Sarah’s friend, reveals her bitterness about having been a military wife. But Sarah doesn’t seem bitter. Was the difference due to Carol having children or that it took time from her own artistic pursuits? Overall, Carol isn’t a bitter person and for the most part she liked being a military spouse. It was interesting to me that after her husband’s retired that some leftover resentment spilled out in this book. Is Sarah finally good and well over CJ? I have had so many fans write asking me if I would bring CJ back and hoping that he was off for some important secret mission. Stay tuned! What’s next for Sarah? Thank you for asking! Book seven, Let’s Fake A Deal, comes out July 30, 2019. 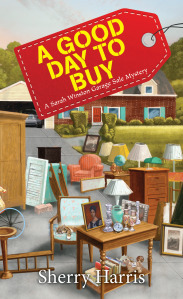 Sarah is opening a garage sale when the police come racing up. 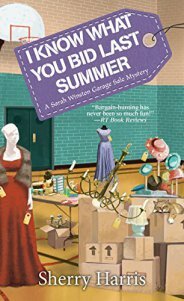 Sarah finds out everything she’s selling is stolen and her employers have run off. 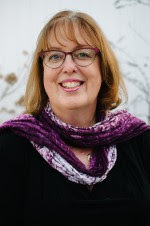 Sounds like another winning book in this series by Sherry Harris. Good interview with very important links. I love this series! It's very entertaining and has some thematic meat on its bones. And this one in particular, with a literary mystery at the center, seems irresistible. Congrats, Sherry! I agree, a literary mystery is irresistible. Looking forward to reading your new release! Congratulations, Sherry, on the publication of another Sarah Winston book. This series is wonderful. And congratulations on the successful online live Facebook interview with Liz Mugavero and Julie Hennrikus last night. Lot of fun. It's no wonder I wanted to interview Sherry again. Her books get better with every addition to this series. I had no idea of Hemingway's missing manuscripts. What a great link. Great interview, Sherry. Enjoyed reading about your latest book. Excellent premise with a fascinating historical background! Tina, that means a lot coming from someone who writes with a lot of meat on bones! Thanks, Grace! It was a delight to read your first book! You ask such great questions, E.B.! I always look forward to your insights! Thanks so much, Sasser! I love your books. Great interview as always, E.B. Sherry, this sounds like another winner in your great series. Looking forward to reading it! Thank you, Marilyn. It was fun to incorporate a bit of real history in it! What a great premise for a book. Thank you. 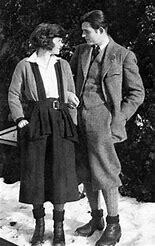 It was intriguing to work Hemingway in! Can't wait to read this. I admit to a love/hate relationship with Hemingway. Loved him in HS and college, in later life I wondered what I was thinking. No matter what I thought of his books, his life has always fascinated. Great title, great premise. The series is wonderful and this will be a stellar addition. Thank you, Kait! I have to admit to having similar feelings about him! Cannot wait to read this one, Sherry! I love your series and a literary mystery is so enticing. I had to read Hemingway in school (didn't we all) and never really warmed up to his style, but his life fascinates. you must have had so much fun researching this book. It was really interesting! Going to his house in Key West last winter was the icing! I love your books! Putting this one high on my TBR list.